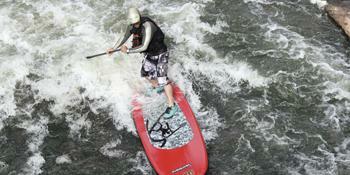 Stand up paddle surfing is one of the fastest growing water activities available today. Stand up paddleboarding is a way to propel an individual across the surface of the water while standing on a surfboard. Stand up paddleboarding is very easy to learn. Within one hour you can become very comfortable in the water and on your board. Needed equipment consists of a long board, and a special paddle with a blade, shaft and handle.